EdenFlo Pump Truck Service is the expert for drain cleaning in the lower mainland. 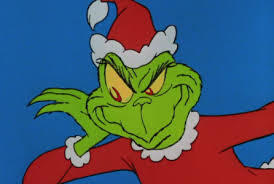 Like you, we hate surprises. We encourage our clients to put us on a regular schedule to inspect and clean their drains and catch basins. If you don’t have us on a regular maintenance schedule here is your chance to lock in 2018 prices for 2019 as long as you book before February 28th. Our extensive fleet of vacuum trucks means that we can offer you the best service based on your needs. In low clearance areas such as underground parkades, we have the biggest fleet of “Low Boy” vacuum trucks on the lower mainland. These specially designed trucks can access low ceiling areas – putting the equipment right at the drain for cleaning. More efficient means less time on site – the job is done faster, better and at a fair price! Whether it’s catch basins, lift stations, sanitary or storm, Edenflo Pump Truck Service has the right equipment for the job. Whether your catch basin or drain cleaning is in Vancouver, Abbotsford, Aldergrove, Surrey, Langley, Buranby, New Westminster, Delta or White rock, EdenFlo provides scheduled maintenance service for your drainage needs. Call us today at 604 575 1414 or contact us for a complimentary review of your requirements. Remember; lock in 2018 pricing for scheduled maintenance on all contracts booked before February 28, 2019. This entry was posted in Catch Basin Cleaning and tagged Abbotsford catch basin cleaning, aging septic systems, Aldergrove catch basin cleaning, below ground parkade drain cleaning, burnaby catch basin cleaning, Catch basin cleaning Delta, catch basin cleaning New Westminster, Catch Basin cleaning Surrey, Catch basin cleaning White Rock, Catch basin maintenance Abbotsford, Catch basin maintenance Aldergrove, Catch basin maintenance Burnaby, Catch basin maintenance Delta, Catch basin maintenance Langley, Catch basin maintenance New Westminster, Catch basin maintenance Surrey, Catch basin Maintenance White Rock, drain cleaning service vancouver, emergency drain cleaning Vancouver, langley catch basin cleaning, vacuum pump for parking garage, vacuum pump service for parkade, Vancouver Vacuum pump service on January 4, 2019 by Edenflo. At Edenflo, we’ve always taken great pride in educating our customer base about the importance of catch basin cleaning. We think it’s important for property owners/waste generators to understand their role and responsibilities in the process.That’s why, when we came upon an informative and entertaining video developed by the Capital Regional District (CRD), we simply had to share it! The CRD is the regional government for 13 municipalities and three electoral areas on southern Vancouver Island and the nearby Gulf Islands. The CRD provides regional decision-making on issues that transcend municipal boundaries, and they also develop partnerships to facilitate and deliver projects and services that benefit the region as a whole. Their mandate is to serve the public and build a vibrant, livable, and sustainable region, so they were more than happy to give us permission to use their video in today’s blog. 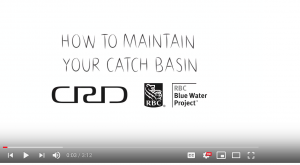 In addition to the video, their brief article on catch basin maintenance provides all the information you need to be a responsible catch basin owner. Below ground parkades and parking lots drains fall into this category as well. Do your part for the bigger picture. Whether you have a need for catch basin service in Vancouver, Aldergrove, Surrey, Langley, Burnaby, New Westminster, Delta or White Rock, contact Edenflo Pump Truck Services at 604-575-1414 and schedule your annual catch-basin inspection and cleaning today. This entry was posted in Catch Basin Cleaning and tagged Abbotsford catch basin cleaning, alder grove catch basin cleaning, BC catch basin cleaning, below ground parkade drain cleaning, best parkade drain cleaning vancouver, burnaby catch basin cleaning, Catch basin cleaning Delta, catch basin cleaning New Westminster, Catch Basin cleaning Surrey, Catch basin cleaning White Rock, langley catch basin cleaning, parking lot catch basin cleaning, Parking lot drain cleaning on September 29, 2018 by Edenflo. Now that September is here, the leaves are beginning to turn colour and we are seeing more and more leaves starting to fall. 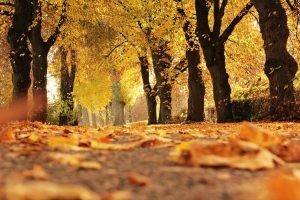 It’s a great time of year, but the debris associated with the fallen leaves and twigs can spell trouble for your catch basins. 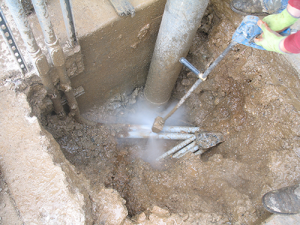 If you haven’t scheduled your annual catch basin cleaning, now is the time to book! Don’t wait until all the leaves are clogging your drains and you wind up in a bad situation. 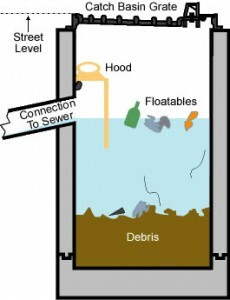 Your parking lot, underground parkade and basement are suspect to drainage issues if debris is allowed to accumulate in the system. The EdenFlo team can easily and efficiently clean your catch basins using one of our many pieces of specialized vacuum equipment that allows us to get at even the most challenging drains. Whether you have a need for catch basin service in Vancouver, Aldergrove, Surrey, Langley, Burnaby, New Westminster, Delta or White Rock, contact Edenflo Pump Truck Services at 604-575-1414 and schedule your annual catch-basin inspection and cleaning today. This entry was posted in Catch Basin Cleaning and tagged Abbotsford catch basin cleaning, Aldergrove catch basin cleaning, basement drain cleaning vancouver, BC catch basin cleaning, best parkade drain cleaning vancouver, burnaby catch basin cleaning, Catch basin cleaning Delta, catch basin cleaning New Westminster, Catch Basin cleaning Surrey, Catch Basin Cleaning Vancouver, Catch basin cleaning White Rock, catch basin inspection vancouver, catch basin service vancouver, emergency catch basin cleaning, Parkade drain cleaning, Parking lot drain cleaning on September 14, 2018 by Edenflo. As the weather gets better and the skies clear, it would be easy to forget about the catch basin in your parking garage in the lower mainland. 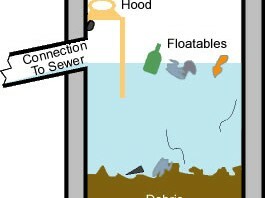 Chances are there is debris and waste that are partially clogging your drain right now. Smaller rainfall will hide the fact that there may be a drainage problem that is just waiting to manifest itself into a big clog that can could cause you have to shut down your garage. 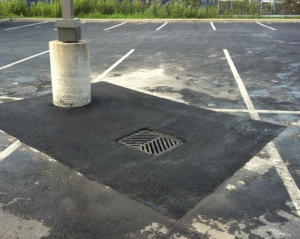 EdenFlo offers the best low clearance parking garage catch basin cleaning in the lower mainland. 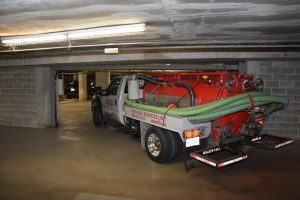 Their extensive fleet of “Low Boy” vacuum trucks gets into the tightest parking garages to access your catch basin and drains in the lowest levels of your parkade. 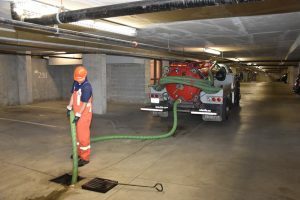 Whether your parking garage drain challenge is in Vancouver, Aldergrove, Surrey, Langley, Buranby, New Westminster, Delta or White rock, EdenFlo can provide a routine maintenance inspection before you have a full blown drainage emergency. Get it done so that you can ensure that you and your parking patrons can enjoy the best weather of the season. Give us a call at 604 575 1414 or email us at service@edenflo.ca to book a complimentary consultation. This entry was posted in Catch Basin Cleaning, Parking Garage Drain Cleaning and tagged Abbotsford catch basin cleaning, aldergrove catch, below level parking garage drain cleaning, burnaby catch basin cleaning, Catch basin cleaning, Catch basin cleaning White Rock, Delta Catch Basin Cleaning, drainage problem parking garage, low boy vacuum truck, parking garage drain cleaning lower mainland, Parking lot drain cleaning, Surrey catch basin cleaning, vacuum pump for parking garage, Vancouver Catch Basin Cleaning on April 4, 2018 by Edenflo.